St. Anthony Mary Claret was a Roman Catholic archbishop and missionary. He founded the congregation of Missionary Sons of the Immaculate Heart of Mary, commonly called the Claretians. His Feast day is on October 24th. Since the saint himself received many miraculous cures during his lifetime (including the immediate healing of a gaping wound in his side after he prayed to the Blessed Virgin), people pray to him for healing. Our Lady told St. Anthony Mary Claret that she would obtain from God anything he asked through her Immaculate Heart. O St. Anthony Mary Claret, who during thy life on earth was often a solace to the afflicted, and didst love and tenderly compassionate the sick, intercede for me as thou dost rejoice in the reward of thy virtues. Cast a glance of pity on (here mention the person afflicted with cancer or other serious ailment) and grant my petition, if such be the will of God. Make my troubles thine own. Ask the Immaculate Heart of Mary to obtain by her powerful intercession the grace I yearn for so ardently, and a blessing that may strengthen me during life, assist me at the hour of death and lead me on to a happy eternity. Amen. St Anthony Mary Claret, pray for us! St. Raphael is one of the seven Archangels who stands before the throne of God. He is known as the healer. St. Raphael is also known as patron of travelers and he helps to guide spiritual journeys searching for truth and awareness. In the Book of Tobit (Old Testament), Saint Raphael helped Tobias to make balms and ointments from fish to cure Tobit’s (Tobias’s father) blindness. 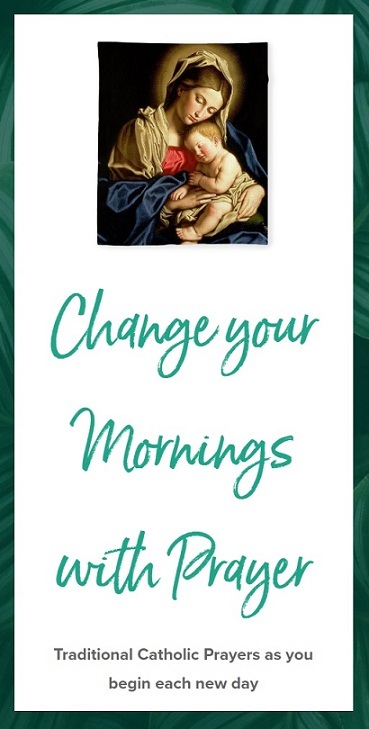 Raphael means ‘God’s Healing’ and so he is called upon by doctors, nurses and all medical workers. He helps to heal physical, spiritual and mental illness. Raphael shares his feast day, the Feast of the Archangels, with Saints Michael and Gabriel on September 29. The following prayer can be recited as a Novena for nine days for any special intention. O good St. Raphael, I invoke thee as the patron of those who are afflicted with bodily illness or ailment. Thou didst prepare the remedy which cured the blindness of the elder Tobias, and thy name means “God has healed”. I turn to thee for help in my present need (mention your request). If it be the Will of God, deign to cure my ailment, or at least give me the strength I need to bear it patiently in atonement for my sins and for the salvation of my soul. Teach me to unite my sufferings with those of Jesus and Mary and to seek God’s grace in prayer and Holy Communion. I wish to imitate thee in thy zeal to do God’s Will in all things. Like young Tobias, I choose thee as my companion on my journey through this valley of tears. I wish to follow thine inspirations every step of the way, so that I may reach my journey’s end under thy constant protection and in the grace of God. St. Raphael, to the elder Tobias thou didst reveal thyself as “the help of the grace of God”. Be thou my help and deign to obtain for me the grace of God and the favour I ask of thee through thy powerful intercession. Physician from God, deign to cure me as thou didst cure Tobias. St. Raphael, thou who art called “the Remedy of God” and “the Angel of Health”, pray for me. Amen. In honour of St. Raphael, recite one Our Father, one Hail Mary and one Glory be to the Father. St. Jude Thaddeus, faithful apostle of Jesus, is the helper in desperate cases. 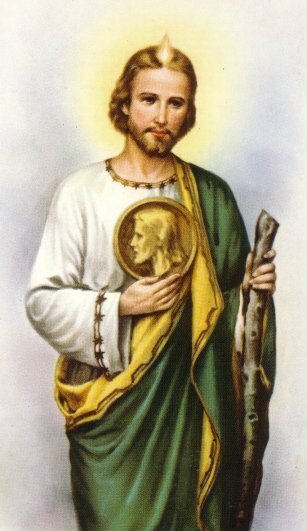 I love St. Jude and know how powerful his intercession is. Through his intercession, our compassionate Lord granted us visible help in our hopeless situation. I thank him for all the graces we obtained through his powerful intercession. The following prayer can be used as a Novena, praying every day for nine days or as long as you want. O Glorious Apostle Saint Jude Thaddeus, true lover of Jesus and Mary, I greet thee through the Sacred Heart of Jesus. Through this Heart I praise and thank God for all the graces He has bestowed upon thee. Humbly prostrate before thee, I implore thee, through this Heart, to look down upon me with compassion. Despise not my poor prayers; let not my trust be confounded; to thee God has granted the privilege of aiding mankind in the most desperate cases. O come to my aid, that I may praise the mercies of God! All my life I will be grateful to thee and will be thy faithful client, until I can thank thee in Heaven. Amen. Our Lady of Sorrows, Mother of Sorrows and Our Lady of the Seven Dolours are names by which the Blessed Virgin Mary is known for her sorrows in her life. The Feast of Our Lady of Sorrows is on September 15th. The nine day Novena to Our Lady of Sorrows begins on September 7th (the Vigil of the Nativity of the Blessed Virgin). O blessed Virgin Mary, Mother of our Redeemer! Remember we are thy children, given to thee by thy Divine Son, when expiring on the Cross. by all the sufferings of thy most afflicted Heart, obtain for us, O Mother of Mercy, true contrition for our sins, persevering fervour in the divine service, and the particular favours we solicit in this Novena prayer. as it was our sins that inflicted those torments on thy Divine Son, we acknowledge that we justly deserve the wrath of divine justice to fall on our devoted heads. taste one drop of that bitter chalice of which thou didst drink so deeply. Amen. The Feast of the Sacred Heart of Jesus is a solemnity in the Roman Catholic Church and is celebrated nineteen days after Pentecost. Since Pentecost is always celebrated on Sunday, Feast of the Sacred Heart will be on a Friday. The Feast of the Sacred Heart of Jesus is on June 15th, 2012. The Alliance of the Heart of Jesus and Mary is based on the joint devotions to the Sacred Heart of Jesus and the Immaculate Heart of Mary. 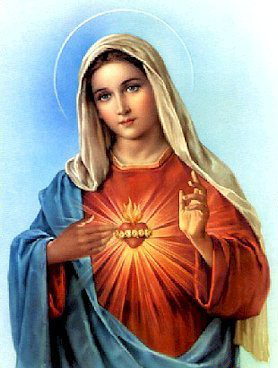 The Feast of the Immaculate Heart of Mary is celebrated on the Saturday after the Feast of the Sacred Heart of Jesus. It falls on June 16th, 2012. In preparation for these two Feasts, here is a Novena Prayer to the Two Hearts of Jesus and Mary. Let us recite this Novena from June 6th – June 14th. O Heart of Jesus pierced for our sins and giving us your Mother on Calvary! O Heart of Mary pierced by sorrow and sharing in the sufferings of your divine Son for our redemption! O sacred union of these Two Hearts! Praised be the God of Love who united them together! May we unite our hearts and every heart so that all hearts may live in unity in imitation of that sacred unity which exists in these Two Hearts. Triumph, O Sorrowful and Immaculate Heart of Mary! Reign, O Most Sacred Heart of Jesus! – in our hearts, in our homes and families, in the hearts of those who as yet do not know you, and in all nations of the world. 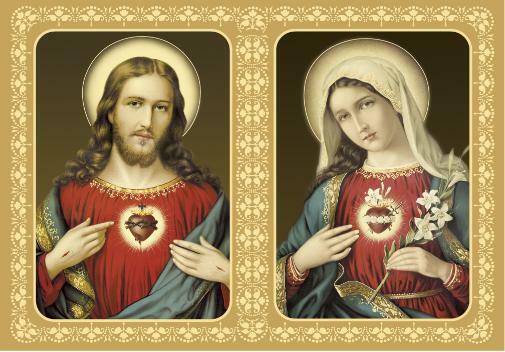 Establish in the hearts of all mankind the sovereign triumph and reign of your Two Hearts so that the earth may resound from pole to pole with one cry: Blessed forever be the Most Sacred Heart of Jesus and the Sorrowful and Immaculate Heart of Mary! Obtain for me a greater purity of heart and a fervent love of the spiritual life. May all my actions be done for the greater glory of God in unions with the divine heart of Jesus and the Immaculate Heart of Mary. Hear and answer our prayers and intentions (mention your petition) according to your most merciful will. Amen.